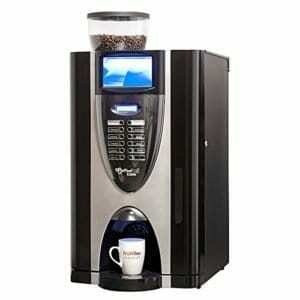 The Sprint Bean to Cup is one of our most popular coffee machines. It is perfect for an environment that demands REAL coffee! 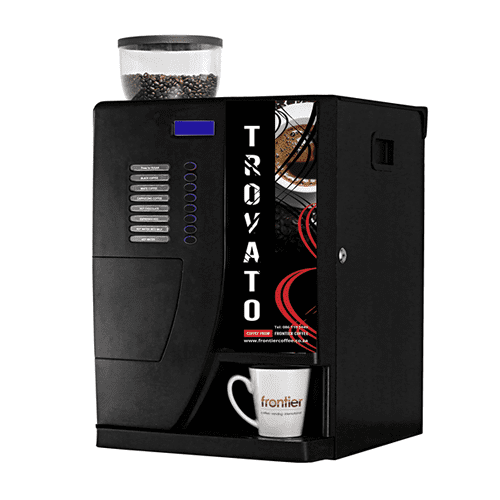 Using coffee beans that are only ground on making a selection, this coffee vending machine not only produces a coffee shop quality coffee, but is fast, convenient and very economical. Designed for an office of 15-50 staff members, this machine is attractive and functional and guarantees that your staff and customers will be well looked after. 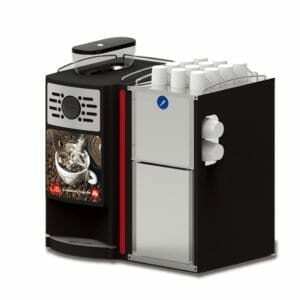 Fully automatic coffee machine with 8 selections, including a pre-select for variable sugar strength. Choose from espresso, black and white coffee, cappuccino, hot chocolate, moccachino, latte, chocochino, hot water and hot water with milk. All drinks have a choice of no sugar, sugar or extra sugar. Fully programmable for drink strength. 1 bean canister and 3 powder canisters – choose milk powder, sugar, hot chocolate, latte mix or even a decaffeinated coffee. Programmable for 175ml to 250ml cup sizes. Either water mains or a drum with a water pump (we can supply and fit). Payment system can be set to free vend or we can fit a token or coin acceptor. Dimensions are height: 545 mm / width: 385 mm / depth: 440 mm / weight: 38 kg. As leaders in the industry, we have come to know and understand that the coffee and hot beverage needs of each company are different. Therefore we offer a wide variety of office coffee machines to suit the number of staff in your business and your unique requirements. 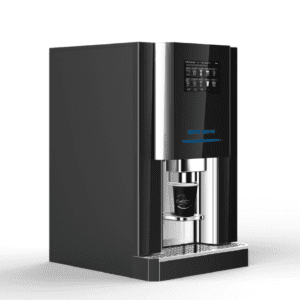 From instant coffee machines to the bean-to-cup coffee machines, there will be a coffee machine to suit you.